The Kempinski Hotel Grand Arena Bansko Donated One Tonne of Food to the Dancing Bears Park in Belitsa. 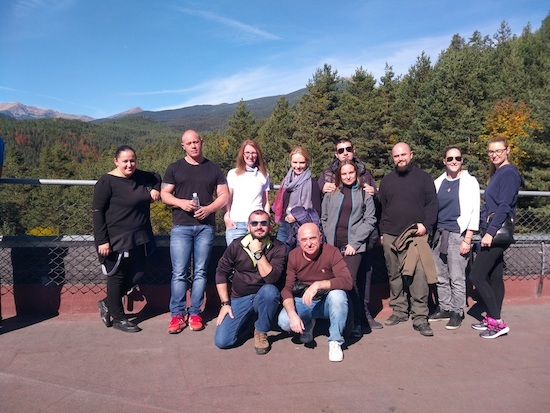 The hotel repeated its “One Team, one Goal – One Tonne of Food” initiative for a fifth consecutive year Bansko, 18 October 2017 – On 16 October, Kempinski Hotel Grand Arena Bansko’s management team visited the Dancing Bears Park in Belitsa with the honourable mission of donating one tonne of fresh fruits. Every year the hotel purposely plans its visit in the month of October as this time of the year the bears prepare themselves for winter hibernation and they need more food and vitamins. The food will be hidden in different places, so the bears can search and find it themselves exactly as they normally do in a natural wild environment. They are fed three times a day and have full medical checks every year. 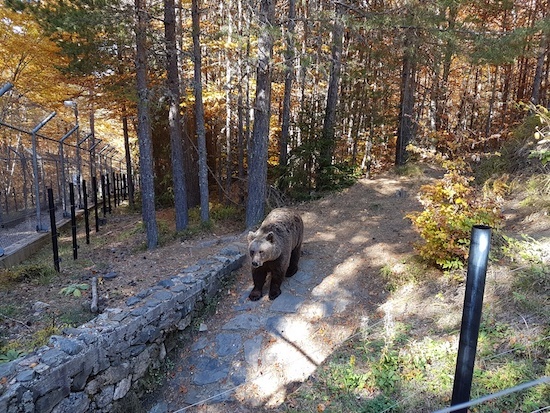 Now 26 bears live at Bears Park Belitsa, divided by temperament into seven sectors. The last two rescued bears this year came from Albania. The good news is that for the last ten years there have been no more dancing bears in Bulgaria. The youngest bear in the park is two and a half years old and the oldest one is 36 years old. Last year, nineteen of the bears dug their own dens and all of them hibernated, which shows clearly that they have already adapted. At the time of the hotel visit, two of them had already hibernated and the rest were preparing themselves. Every bear has its own territory with plenty of space to walk and climb. They live in a forested land of 120,000 sq m with access to natural water resources and specially made dens and ponds. enjoyed themselves and shared funny stories. 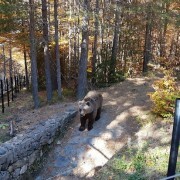 I say this: the Bear Park at Belitsa is absolutely amazing. A must-do visit when coming to Bansko between Spring and Autumn. Apart from the noble cause of rescuing bears, the views from the park across to Pirin are amongst the very best in the region.